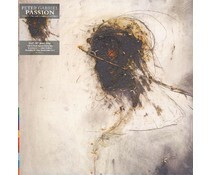 2016 EU reissue on 180g LP=Peter Gabriel's iconic So (1986)-nominated for the Grammy Award for Album of the Year, features Laurie Anderson, Kate Bush and Youssou N'Dour and contains ("In Your Eyes," "Red Rain," "Sledgehammer," "Big Time"). 2016 EU reissue on 180g LP= Peter’s first solo album arrived in February 1977. He was 26. With legendary producer Bob Ezrin taking charge, The record also provided one of Peter’s most recognizable songs in the shape of "Solsbury Hill."